You should have basic bike experience, a skill of using Clutch, Gears, Throttle. This adventure tour will be an exciting experience. During the training you will get many good impressions and lots of drive, riding the best bike in Dubai. 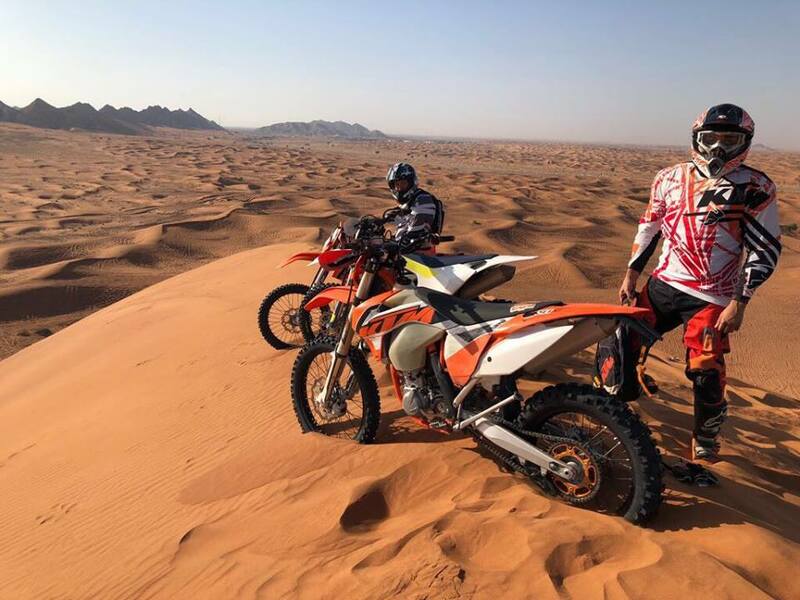 Men are not the only welcome guests at our company, we are also glad to teach women to ride a motorbike in the desert of Dubai. Our KTM bikes are always in excellent condition and constantly checked before each riding tour. So if you join our company for the services of bike rental in Dubai, you can be sure in your safe.